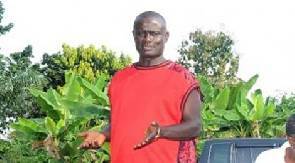 Former Kotoko player Sarfo Gyamfi has questioned the spiritual potency of the team’s leadership. The Black President, as he is popularly known, is said to be a strong believer in sorcery and witchcraft. He was speaking on the back of the club's recent lack of form and consistency. Sarfo Gyamfi made these remarks when discussing the difficulty he faces with the Opoku-Nti led administration. He complained that they don't buy into his faith. "They simply don’t believe in that. All those following the team now say they are pastors. "They claim they don’t believe those things exist in football. It is wrong to even tell me that, because football and voodooism go hand in hand." “Opoku Nti for instance claims he is Pentecostal so i doubt he even has the eyes to see things in the spiritual realm." Sarfo Gyamfi was part of the Black Stars squad that lost on penalties to Ivory Coast in the 1992 African Cup of Nations final.